Dutch painter and writer on art. 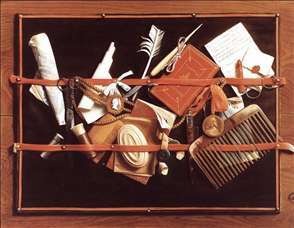 He painted genre scenes in the style of de Hooch and Metsu, and portraits, but he is best known as a specialist in perspective effects. 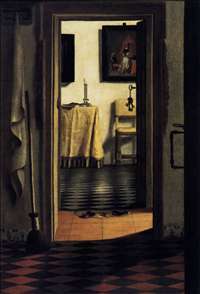 One of his "perspective boxes" which shows a painted toy world through a peep-hole, is in the National Gallery, London. 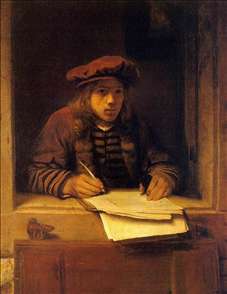 Only in his early works can it be detected that he was a pupil of Rembrandt. 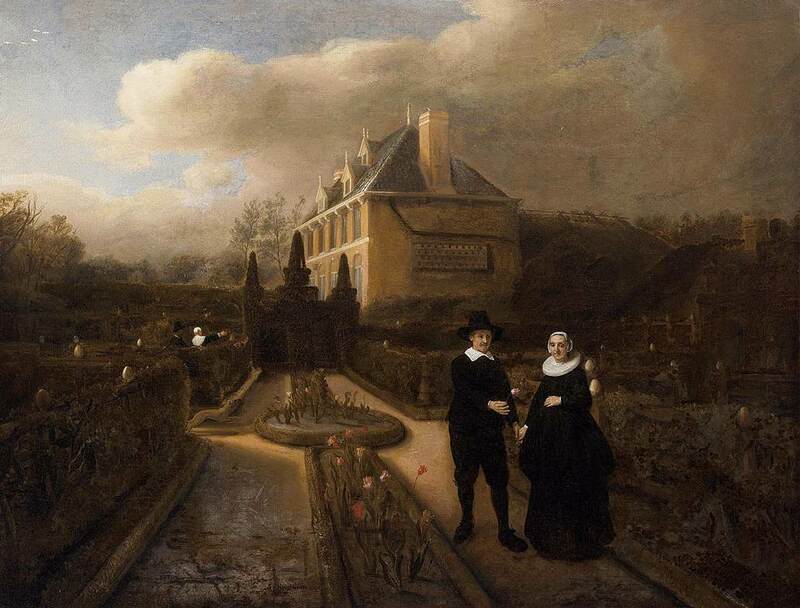 Hoogstraten travelled to London, Vienna, and Rome, worked in Amsterdam and The Hague as well as his native Dordrecht, and was a man of many parts. He was an etcher, poet, director of the mint at Dordrecht, and art theorist. His Inleyding tot de hooge schoole der schilderkonst (Introduction to the Art of Painting, 1678) contains one of the rare contemporary appraisals of Rembrandt s work. 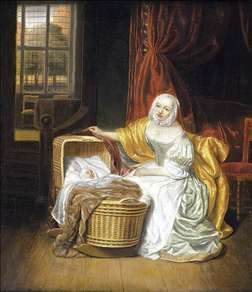 See more details about "View of a Corridor"
See more details about "Mother with a Child in a Wicker Cradle"
See more details about "Portrait of Johan Cornelisz. Vijgeboom and His Wife"